Would you say you typically roll out of bed, refreshed, well rested, ready to attack the challenges of the day? Or are your first waking moments more likely, "Seriously? It's time to get up already?" 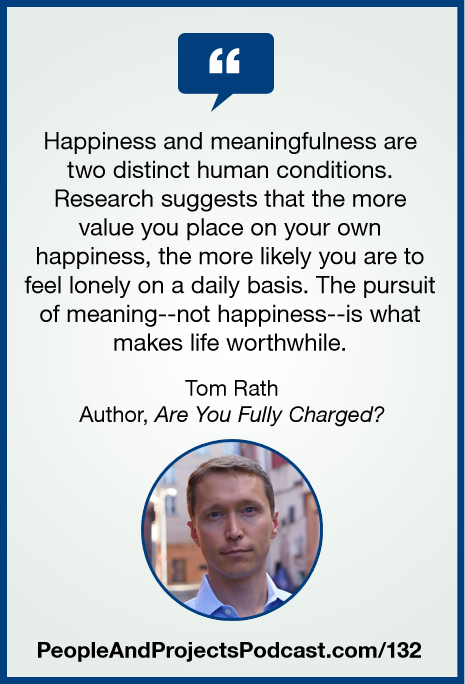 In this episode, we welcome back Tom Rath to discuss his new book Are You Fully Charged? : The 3 Keys to Energizing Your Work and Life. If you enjoy books with practical, evidence-based insights, you're in for a treat, and it will start making a difference on the day you crack the book open. To learn more about Tom and the book, visit his website at TomRath.org/book/are-you-fully-charged.